XL 6948 x 4637px 15 Mb. 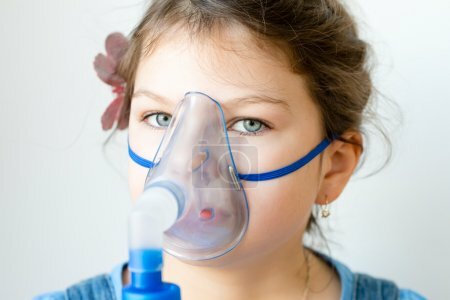 Girl with asthma inhaler. Girl with asthma problems making inhalation with mask on her face. Inhalation treatment of respiratory diseases.